Some people skateboard, and are really good at it. There are those who cook or sing or write. Others knit. Then there is this man. He plays music with his hands. And he rocks. Thanks to Scalzi for pointing me in his general direction! 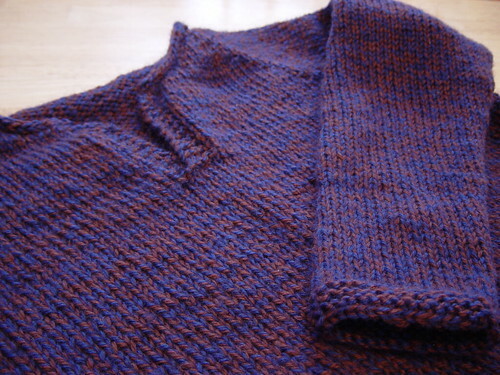 Pattern: Knitting Pure & Simple Child’s Tunic. I am still trying to claw my way out of a knitting slump and have been obsessing lately about knitting socks. I’ve enjoyed knitting this sweater and have three seven other sweater projects I want to cast on, but dudes, I need get some smallish projects going first. How about this? Or this? And maybe this? Well, onward it is!